This document sets forth the entire Contract between the Service Contract Administrator hereinafter referred to as We, Us and Our, and, the Purchaser as You and Your. No representation, promise or condition herein shall modify these terms. 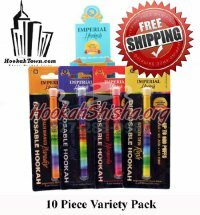 HookahShisha.org Company is contractually obligated to You to provide service under this Contract where in accordance with, and as allowed by state law. 1. TO OBTAIN AUTHORIZATION FOR REPLACEMENT ON REPLACEMENT CONTRACTS ONLY ? You must obtain authorization prior to the receipt of a replacement product. 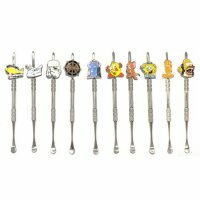 ?You will receive a Replacement Order Number (RON) with extended warranty purchase. ?The RON must be written clearly on both sides of the shipping container. ? Call the toll free number: 1-877-776-9534. ? Have this Contract, Your Replacement Order Number, and the original product receipt available. ? Instructions on obtaining replacement will be given. ? 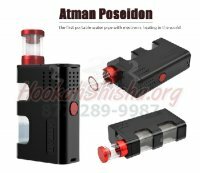 Once authorization is obtained You MAY BE required to return the product to HookahShisha.org Company. ? At Our determination, You will receive a replacement product of like grade and quality. In all cases where a replacement cannot be made, You will receive reimbursement for the original purchase price, excluding sales tax and delivery. ? All contractual obligations are considered fulfilled upon product replacement, reimbursement or Contract term expiration. ? The replacement Product will be mailed to You at no cost. 2. TERM OF COVERAGE. Coverage extends from the expiration of the manufacturer's product warranty for the period of One (1) year. 3. LIMIT OF LIABILITY. Maximum liability under this Contract shall be the cost of: one replacement with a Vase and Stem of comparable value. This Contract provides for only the one-time replacement of the product with another product of like grade and quality. This Contract will expire at the time of this replacement or reimbursement for replacement or term expiration. 4. DEDUCTIBLE. No deductible applies to this Contract. 5. RENEWABILITY. This Contract is not renewable. 6. LIMITATIONS OF COVERAGE ? This Contract Does Not Cover: A. Any equipment located outside the United States. B. Damage or other equipment failure due to causes beyond Our control including, but not limited to, repairs necessary due to operator negligence, the failure to maintain the equipment, abuse, vandalism, freezing, or any inexplicable phenomenon. C. Any utilization of equipment that is inconsistent with either the design of the equipment or the way the manufacturer intended the equipment to be used. D. Operational or mechanical failure which is not reported prior to expiration of this Contract or within 30 days of product failure. E. Loss or damage as a result of violation of existing federal, state and municipal codes including repairs to products not complying with said codes. F. This coverage is limited to vases and stems. 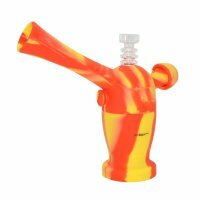 Accessories such as but not limited to: bowl and hoses are not covered. 7. CANCELLATION. This contract cannot be canceled once purchased. 8. COVERAGE AND TERM. This is not an insurance policy. 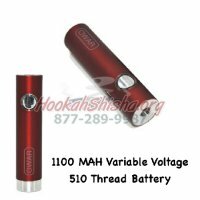 As the Administrator, HookahShisha.org Company will assist You in understanding Your warranty and coverage benefits from the day You purchase Your Plan. 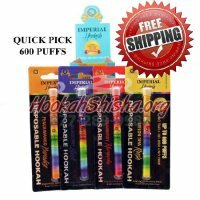 If Your Covered Product needs replacement, You should call 1-877-776-9534 or You may submit Your claim in writing to HookahShisha.org Company, 328 Thornberry, Draper, UT 84020 or via email to Info@HookahShisha.org. With any correspondence, please provide Your daytime phone number and claim number if applicable. 9. ENTIRE CONTRACT. This is the entire Contract and no other oral modifications are valid. If You have any questions, require customer service, or wish to report a claim, please contact: Info@HookahShisha.org or call our toll-free number at 1-877-776-9534.